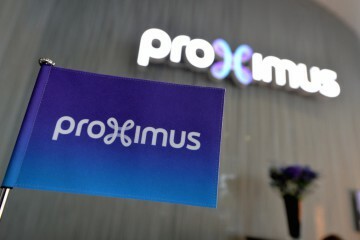 Acting on a proposal from the deputy prime minister and minister of Digital Agenda, Telecom and Postal Services Alexander De Croo, the federal government is working to create an even playing field for autonomous state enterprises that are active in a highly competitive market – specifically Proximus and bpost. The intention is that these autonomous state enterprises should be able to fight with the same weapons as their private competitors. At the moment, they often start off at a disadvantage. Today, the federal government has given the green light at first reading to a preliminary draft law amending the Law of 21 March 1991 on the reform of certain public commercial state enterprises. In addition to a series of organisational restrictions being lifted, the management of listed state enterprises will be aligned with the rules that apply to other listed companies. The existing legal lock on maintaining state participation at 50% plus one share will also be removed. The reform intends to remove certain organisational restrictions that apply only to autonomous state enterprises and not to their private competitors. It will do away with the differing rules for the acquisition of shareholdings in another company (a 2/3 majority in the board of directors) and for the inclusion of a subsidiary in the execution of public services (a royal order). The differing regulatory framework that applies to the recruitment policy of the autonomous state enterprises (statutory employment) will be aligned with the framework applying to private companies (contractual employment). Autonomous state enterprises will be able to use subcontractors and self-employed persons in the same circumstances as their non-public competitors. Naturally the same rules will apply here with regard to false self-employment. The reform also provides for an alignment of the management of listed state enterprises with the rules that apply to all other listed companies. This means that the way that the board of directors is nominated and the way it operates will be aligned with the rules of corporate governance that apply to all other listed companies. In accordance with common law, directors will be nominated by the general assembly, and in future the chairman and the CEO will be appointed by the board of directors. Directors, chairman and CEO are currently nominated by the government. This change also means that the government’s existing unilateral powers of intervention in the management of listed state enterprises will be removed. This applies, for instance, to the board of directors’ obligation to discuss a specific matter or the possibility for the minister responsible for a given company to overturn a decision made by the board of directors. In future, the government will have to assert its influence via the usual channels of company law. At the moment, the state’s participation in autonomous state enterprises is legally locked at a minimum of 50% plus one share. The reform sets out the framework within which state participation in listed autonomous state enterprises can possibly be reduced to less than 50% plus one share. No lower limit is specified, in order for complete flexibility to be maintained so that all possible strategic options can be examined. Please note: the reform contains no decision concerning any reduction in the state’s participation in the state enterprises. It simply lays down the conditions and the framework within which a change can be made. The coalition agreement provides that the FPIM (Federal Holding and Investment Company) be given responsibility for a reflection on the active management of public shareholdings in consideration of the debt reduction. A decision to reduce a shareholding to less than 50% plus one share requires a royal decree debated in the Council of Ministers. Should a decision be taken to reduce government participation, transitional measures will be taken through social dialogue in order to protect acquired rights.